Easy to find the hotel, just off the motorway. Great for a one-night stop between Barcelona & Cherbourg. Very comfortable and quiet room. Breakfast was excellent value for money. A great stopping place. I drove straight past it the first time it's almost invisible from the main road and down a drive. It has a bar which is great, a lobby area with games, a nice outside terrace with table tennis. The rooms are a generous size for a budget probably because it was converted, and the bathrooms are much bigger than normal. I didn't see a lift. Although there's no breakfast , only cold stuff (this is almost always the case at Ibis) the cold stuff they do is laid out with pride. All the staff were nice. The bed was a little less appealing than normal as the mattress protector is plastified and you can feel it under the sheet which is not normally the case at Ibis. The temperature control did make a difference. Nearby at Boé/Passage there is the largest commercial area I think I've seen in France so anything you could want is just 5 minutes away. However the McDonald's doesn't open for breakfast. No-one on front desk when we arrived. Not a very long wait but no apology. Disappointed that no sugar free cola drinks were available. No apology or explanation offered. Started well but got worse when fire alarm went off at 01h30 and staff struggled to deal with the situation. No-one offered assistance or advice to guests and no-one appeared to search for the cause or seek assistance from fire brigade. Guests were left milling around. A poor show. Stayed for 1 night en route to Spain, the hotel had all we needed. 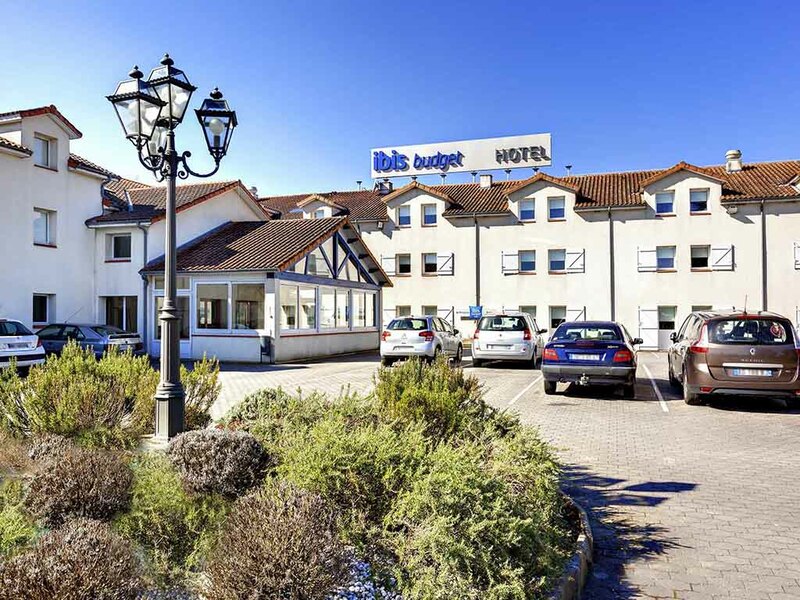 The hotel met with our expectations and our experience of budget hotels. This is our second time staying at this hotel and it was as good as the first.There is some improvements being done at the moment but the hotel is still as good as before. The staff were fantastic the rooms basic to the extreme but clean. One down side could not believe there were no coffee or tea facilities in room which is a must after a long journey! We arrived at 1400 (2pm) and no one was at Reception - it took us 30 minutes to locate the Reception Clerk. The room had not been cleaned - the cleaning staff were very apologetic & did a very good & quick clean. Also, the air conditioner did not work. The breakfast was good & the morning staff were very helpful. Room clan and bed comfortable. unable to control room temperature. 25 degs c all night. We were on the ground floor so unable to leave window open. even though it had a tilt and turn facility. the hinge was not working properly. we ahve these windows at home so know how they work!! Excellent from start to end. Very good value for money. The stay was as expected, an extra pillow and thicker towels, along with tea/coffee making facilities in the room would have made me give 10/10. Hotel was clean and staff were polite and helpful. Check in and out was smooth. Didn't have breakfast included during our stay, therefore I cannot comment on the breakfasts.